If you thought Harper Lee was the only classic author releasing a new book this summer, you thought wrong. 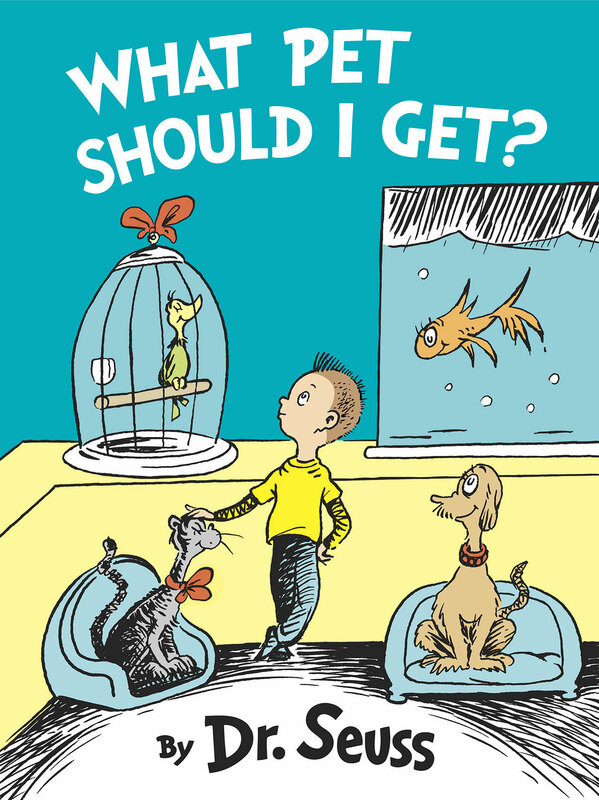 A posthumous Dr. Seuss book is also out now. According to Inquisitr, actor and comedian Rainn Wilson is narrating the audio version of the new book, What Pet Should I Get?, which came out earlier this week. Dr. Seuss’s widow, Audrey Geisel, found the book’s manuscripts and drawings for the book two years ago, but estimates he worked on it sometime between 1958 and 1962. This is not the first of Dr. Seuss’ books to be released posthumously. Reviews have stated that the new book doesn’t have any particular message or lesson that it’s trying to get across. Get What Pet Should I Get? in hardcover for $10.09. Or on your Kindle for $9.59. Recap: Sage Singer is perfectly content with her sad, lonely life. Well, “perfectly content” may not have been the right phrase to use. That said, she’s comfortable, working overnights at a bakery, keeping distant from her sisters since their parents died, and sleeping with a man who has a wife and family. But everything changes with Sage meets Josef Weber. He’s not a new love interest. He’s a 90-year-old retiree who lives in her small Rhode Island town and lets Sage in on a secret. He tells her he’s a former Nazi and wants Sage, a Jewish girl, to kill him and end his guilty suffering. In typical Jodi Picoult controversial-story-content fashion, Sage must decide what to do — whether to assist suicide this reformed Nazi or whether to let him continue his suffering until he eventually dies. As she struggles with the decision, she reaches out to the Department of Justice. Leo is the agent set on helping her uncover Josef’s secrets and prosecute him. In order to do that, she needs the help of a Holocaust survivor. Luckily, Sage’s grandmother, Minka, is such a woman. Minka shares her horrific story in the hopes that it will be enough to convict Josef for all his wrongdoings. But along with the detail-oriented investigation and research lies another issue — time. Will Sage, her grandmother and Leo be able to pull this all together before Josef dies of regular old age? 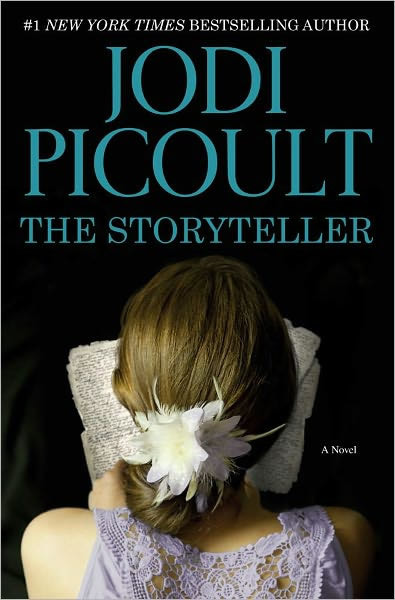 Analysis: Jodi Picoult does it again — choosing a controversial issue about which to write and finding a way to develop emotionally complex characters. She sticks to the same format as her other books, switching between narrators each chapter. I like that format. It works for her books because it allows the reader to better understand the different sides of each controversial topic. But in The Storyteller, things became muddled in the middle. The grandmother’s section about her experience in the Holocaust was long and gruesome. It was powerful, and maybe that’s why she chose not to have another character break up the section. But It was so emotionally difficult for me to get through, it would have been nice to have had another characters’ thoughts interspersed there. The novel was so great, the story so powerful, the pain so excruciating, and then there was the ending. The end was a bit of a shock, but not enough to leave me breathless. It was not as satisfying as it could have been. After all Picoult did to build those characters, all I could do at the end was shrug. And that was disappointing. MVP: Sage is a mess at the start of the novel. But by the end, she gets it together in the most unlikely of ways. She proves her strength, finds her undiscovered confidence and voice, and she finally does something. Her growth was wonderful to follow. Get The Storyteller in paperback for $8.51. Or on your Kindle for $11.99. It happens every few years now — or really, maybe every few months — that a slew of young celebrities write and publish memoirs. In recent memory, those published by female comics have been the most successful. (Think: Tina Fey, Amy Poehler, Lena Dunham and Mindy Kaling.) But in the coming year, the waters will be tested by actresses, singers, and writers who are all set to release memoirs. According to Entertainment Weekly, Glee star Naya Rivera is set to release a memoir, entitled Sorry, Not Sorry: Dreams, Mistakes and Growing Up. Hers will detail her career ups and downs as well as her time spent on the popular Fox TV show, Glee, which ended its run earlier this year. Rivera’s book is set to be released next spring. Entertainment Weekly also reports actress Gabourey Sidibe, best known for her turn in the Oscar-winning film Precious and the new Fox TV show Empire, is also working on a memoir. Hers is due out in 2017. We can expect yet another memoir from singer/songwriter Sara Bareilles, according to Entertainment Weekly. Hers will be a book of essays, detailing her life and the stories behind many of her songs. Sounds Like Me: My Life (So Far) In Song is set to be released October 6th of this year. Finally, Variety reports TV show creator/writer/producer Shonda Rhimes will also be releasing a memoir sometime this year. No release date has been announced, but Rhimes says hers will focus on how she’s managed her career as a single mother. Now here’s the thing about memoirs. While I’m fascinated by young celebrities, I don’t usually feel that their life experiences warrant a decent memoir. So I’m hesitant to read Rivera’s or Sidibe’s. Wait until you’re old! Wait until you have more to talk about! Sara Bareilles gets a pass because an explanation of songs is always fun. But more importantly, I expect more from her and Shonda Rhimes because they’re professional writers. The reason Fey, Poehler, Dunham and Kaling have all had successful books isn’t just because they’re funny females; it’s because they’re skilled at writing. A memoir is just a sidestep away from a TV or movie script.